odpověď na otázku musí být detailní, věcná, logická a vhodně zakončená. 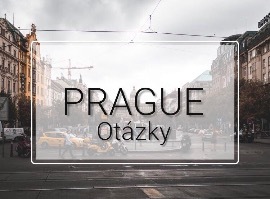 odpověď by měla obsahovat fakta o tématu Praha. Where is Prague situated? Tell me about it. What is the geography of Prague? Tell me about it. Why is Prague important for the Czech Republic? Tell me about it. Which Prague boroughs are the most famous? Why? Is Prague an interesting place to visit for tourists? Why? / Why not? Which are the Prague landmarks? Why? 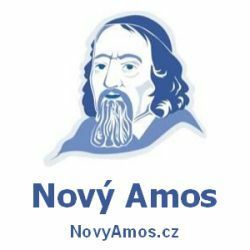 Is the history of Prague interesting? Tell me about it. Which buildings were build during the reign of the king Charles IV.? Where would you take a tourist to visit art or historical exhibitions? Why there? What is the best way of travelling in Prague? Why? What are all possible means of transport in Prague? Tell me about it. Is travelling in Prague cheap or expensive? Why? / Why not? How can you get to Prague from abroad? Tell me about it. Where would you take a tourist to see a good theatre play? Why? Where would you take a tourist to enjoy the Prague nightlife? Why? Which Prague sports clubs are the most famous? Why? Which places would you not recommend to visit in Prague? Why? What is the best time of the year for coming to Prague? Why? Are there any dangers in Prague which a tourist should be prepared for? Why? / Why not? Is Prague a multicultural/multinational city? Tell me about it. What is your favourite location in Prague? Why? Do you like Charles Bridge? Why? / Why not? Do you like the Prague panorama? Why? / Why not? Have you ever thought of going on a boat trip over the Vltava river? Why? / Why not? Do you think it is easy to get lost in Prague? Why? / Why not? Do you think Prague has a good connection with other big cities in the Czech Republic? Tell me about it. Do you think the Czech Republic is a “Prague centered” country? Why? / Why not? Why do you think tourists from abroad come to Prague? Tell me about it. Would you like to study/work/live in Prague one day? Why? / Why not? In your opinion, is Prague a good place for running a business? Why? / Why not? Jak si s tímto zadáním a otázkami o Praze poradíte Vy?